On December 12, officials from 195 countries announced a new agreement that will commit practically every country to a continuing process of making commitments to reduce greenhouse gas (GHG) emissions. The announcement marked the end of the 21st Conference of the Parties (COP-21) to the United Nations Framework Convention on Climate Change (Framework Convention), which were held in Paris, France. The Paris outcome did not result in any new, legally binding obligations on the United States to meet a particular GHG emissions target—and, therefore, will not directly dictate any particular emission reduction obligations for U.S. businesses. Indeed, the 35 pages that constitute the agreement and supporting decisions (collectively “the Agreement”) include precious few legally binding obligations of any kind. Nevertheless, the Paris Agreement could have far-reaching implications. It establishes a more robust and durable architecture for international cooperation on climate change. It contemplates a framework under which countries come forward with emission reduction commitments on an ongoing basis. The framework will also subject those commitments to public review and assessment. The goal is to foster ambition and mobilize resources. As a result, the Paris Agreement and the processes that follow are likely to shape future development of U.S. climate and energy policy, as well as the expectations of global financial markets—which could have significant impacts on a range of U.S. businesses. The foundational treaty for the Paris agreement is the 1992 Framework Convention. However, the Paris Agreement takes meaningful steps away from key elements of both the Framework Convention and its later offshoot, the Kyoto Protocol. Foremost in the minds of most diplomats when the Framework Convention and Kyoto agreements were negotiated was the success of the Montreal Protocol, a treaty aimed at limiting ozone-depleting substances. The Montreal Protocol established mutually negotiated, legally binding reduction targets for developed countries—with no action expected from developing countries. For many reasons, the Montreal Protocol approach has proven unworkable in the case of global climate change—as witnessed by the slow motion collapse of the Kyoto Protocol. The United States and other key countries have been reluctant to adopt legally binding limits on their emissions of greenhouse gases, which are pollutants that are far more pervasive and interwoven with the engines of national economies than ozone-depleting substances. In addition, given the economic growth of major developing countries such as China and India, it is no longer practical or politically acceptable to maintain a strict dichotomy between developed and developing countries. The 2009 COP-15 conference in Copenhagen represented the first effort to move toward a new structure based on bottom-up, non-binding commitments from all major emitting countries. Though seen as a fiasco by many observers, the conference was more in the character of creative destruction; COP-15 laid the foundation for the new architecture ultimately memorialized at COP-21. In the intervening period, the Obama Administration rolled out a comprehensive program of GHG regulations covering two-thirds of U.S. GHG emissions (i.e., power plants and new motor vehicles); the Administration hammered out a joint agreement for action with a Chinese government more alarmed than ever about local air pollution; the costs of cleaner energy generation technologies declined at a rapid pace; public concern about climate change became more pervasive; and comfort with a new architecture for cooperation continued to grow. As a result, before the first meeting of COP-21 was even gaveled to order, 185 governments had already submitted voluntary pledges of action, referred to as “Intended Nationally Determined Commitments” (INDCs). Commitments. The Paris Agreement “welcomes” the INDCs, but does not make them legally binding. This non-binding, bottom-up approach likely made it possible for the United States, China, and other major emitters to make commitments tailored to their own circumstances—and for nations to make more ambitious commitments. In addition, it is noteworthy that practically all 195 parties pledged INDCs (which became “NDCs” under the Agreement). Sprinkled throughout the Agreement are clauses recognizing the differing circumstances of developing countries, but the Agreement eliminates the strictly binary distinctions; each country is obligated to submit an NDC. Though the content of commitments is voluntary, the Agreement undergirds the NDCs with a set of binding procedural requirements to promote transparency. This structure includes rules for submitting information on how a commitment was formulated and for monitoring, review, and verification (MRV) of performance. These MRV rules apply with equal force to both developed and developing countries. In its NDC, the United States has vowed to cut U.S. GHG emissions by at least 26 percent below 2005 levels by 2025. The Clean Power Plan rule (covering power plants) and the Tailpipe Rule (covering new motor vehicles) are central to the U.S. NDC. However, even full implementation of those rules and other rules currently on books will not be sufficient to hit the 26 percent mark. Therefore, the U.S. NDC contemplates further, unspecified policy actions. 5-year Review. The text of the Agreement itself acknowledges that the NDCs submitted to date will not be sufficient to meet the temperature or emission goals. For this reason, perhaps the most important part of the Paris Agreement is an obligation that parties continue to ratchet up the ambition of their NDCs. Article 4 of the Paris Agreement provides that each party “shall prepare, communicate and maintain successive nationally determined contributions that it intends to achieve.” Article 3 provides that the “efforts of all Parties will represent a progression over time.” The Agreement “urges” parties to submit new NDCs by 2020, and to revise these NDCs every 5 years thereafter. The new NDCs will be informed by five-yearly reviews of the extent to which actions by the parties are making progress toward achievement of the goals; the first such “global stocktake” is scheduled for 2018. Financial Assistance. Previously, developed countries had adopted a non-binding goal of mobilizing $100 billion per year in public and private investment by 2020 to assist poorer countries with abatement and adaptation measures. The Agreement simply provides that the developed countries “intend to continue” this goal, and that they intend to set a new and increased goal prior to the 2025 COP. Carbon Markets. Because of the bottom-up architecture of the Paris Agreement, formal emissions trading mechanisms do not figure as prominently in the Agreement as they did under the Kyoto Protocol. However, the Agreement recognizes that some parties may want to use “internationally transferred mitigation outcomes” to achieve their NDCs. In addition, the Agreement establishes a “mechanism” to facilitate transfers between “host” countries and purchasing countries, which presumably will replace the Kyoto Protocol’s Clean Development Mechanism. Decisions included with the Agreement also call for the development of standardized accounting systems to support trading and avoid double counting. By taking the negotiation of national emission targets out of the highly participatory Framework Convention format, the Paris Agreement might make it easier for smaller groups of like-minded countries to link their NDCs into more ambitious, trading-based “minilateral” or “carbon club” arrangements. Such clubs could use the standardized accounting systems developed through the Paris Agreement institutions. Legal Status. Article 21 provides that the Agreement will enter into force after at least 55 parties accounting for at least an estimated 55 percent of GHG emissions have acceded to it. This formulation likely means that the Agreement will not take effect without actions by the United States, China, India, the European Union, and Russia. The Paris Agreement almost certainly constitutes a “treaty” under international law, and therefore will be binding on the United States if the United States becomes a party. This raises the further question of whether the Paris Agreement is a “treaty” in the meaning of Article II of the U.S. Constitution, and therefore requires advice and consent of two-thirds of the U.S. Senate. Not all international agreements to which the United States is a party are Article II treaties. The President has some authority to enter into international agreements without Senate imprimatur, particularly if the agreement only implements a prior-ratified treaty or does not require domestic actions beyond those already approved by law. In the case of the Paris Agreement, negotiators from the United States and some other like-minded governments were careful to base the agreement on the foundational Framework Convention and to ensure that the parties only have obligations to submit an NDC, not to achieve it. In addition, commitments for financial transfers to developing countries take the form of goals, rather than obligations. The question, however, is whether the expansive content of the U.S. NDC (which appears to exceed what can be achieved under currently finalized or proposed regulations) and the obligation for continued “progression” in NDCs cross a line that requires Congressional involvement. Irrespective of the legal status of the Paris Agreement, Republicans in Congress have made clear their opposition to the pact, and have vowed that they will insist on review by the Legislative Branch. They also have taken steps to deny funding contemplated by the Agreement. As explained above, the Paris Agreement will not have direct, near-term effects on companies with operations in the United States. Rather, the most meaningful near-term climate policies remain the domestic policies already finalized or proposed by the Obama Administration—including the Clean Power Plan Rule, the Tailpipe Rule, the recently proposed rules to regulate methane emissions from the oil and gas sector, and other policies. These policies are contemplated within the NDC the Obama Administration submitted for the Paris Agreement, but the Paris Agreement does not make the content of the NDC binding as a matter of international or domestic law. The Paris Agreement is likely to have meaningful indirect impacts, however. The Paris Agreement wraps these various domestic policies into a broader diplomatic environment. If the next President wants to withdraw or substantially modify these policies, he or she may have to take into account the impact of such a decision on international relations, particularly since other countries—including China—would be likely to assert that their NDCs were made at least partially in reliance on the U.S. NDC. Indeed, the next President could encounter almost immediate international pressure to increase the ambition of current domestic policies or to develop new policies—not only to realize the full extent of the current U.S. NDC but also to respond to expectations in the Paris Agreement to submit new and enhanced NDCs by 2020. This pressure could presage tightened standards for power plants, strengthened resolve on the motor vehicle standards, new standards for industrial sources of GHG emissions, and new standards for existing sources of methane emissions in the oil and gas sector. In the long-term, the influence of the Paris Agreement may depend less on its actual terms than on the weight given to it by political forces and markets. 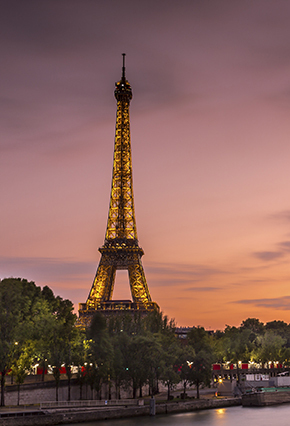 Various cities, states, companies and investors announced initiatives around the Paris talks. For example, Bill Gates and 27 other investors from 10 countries launched a Breakthrough Energy Coalition to direct private capital into deployment of clean energy technologies. A group of 20 governments (including the United States) launched an initiative, called Mission Innovation, in which they committed to double public investment in clean energy research and development over the next five years. The question is whether these and other initiatives reflect a new and sustainable momentum that will result in further long-term changes in policies and markets. The Paris Agreement compels very little, but it establishes a process and set of institutions that could mobilize more ambitious and comprehensive global action on climate change. In this way, the Agreement could at least maintain and possibly accelerate the momentum of climate policy-making and market changes affecting U.S. businesses. Van Ness Feldman is available to provide counsel to companies and others as they assess the implications of the Paris Agreement and other climate policy and market developments. Please contact Kyle Danish or any of the other professionals in Van Ness Feldman’s Environmental Practice for additional information on this analysis or other matters.